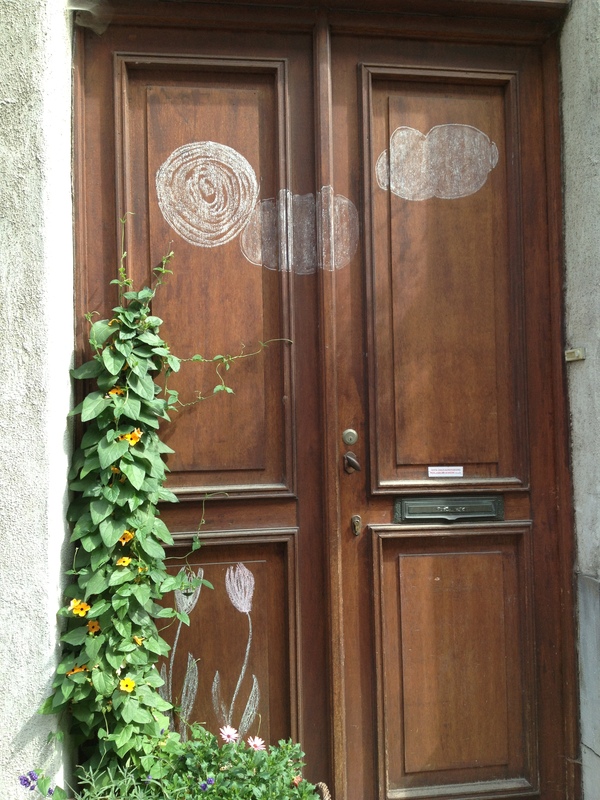 Just after I had stopped in and chatted with the owner of the only biodynamic bakery I’d ever seen (De Biologisch Dynamische Bakkerijin in Antwerp) I walked down a quiet side street and saw the above door which I thought was just too adorable not to share. 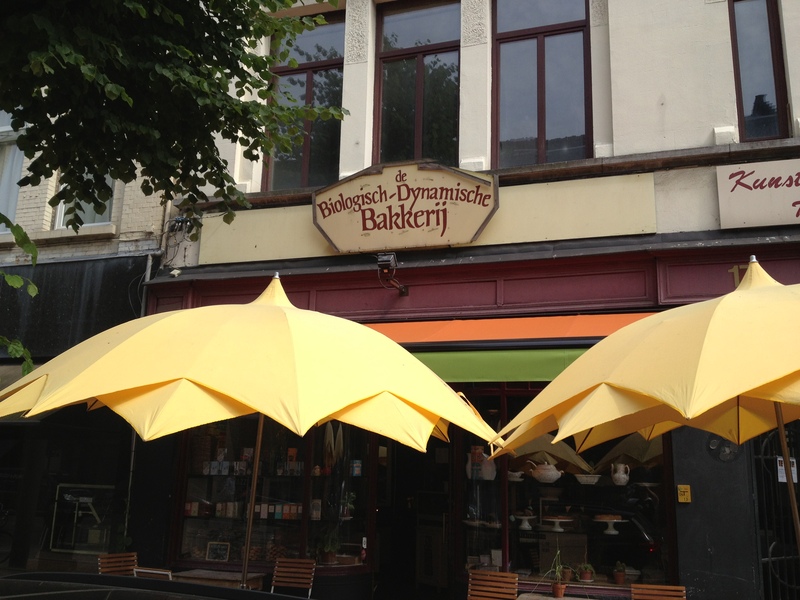 The bakery is soon to change its sign and just become bio or organic as we would say on these shore. The owner (sorry I didn’t get his name) was talking to me about how difficult it was to get flour that was biodynamic and that most of it came from Canada and that part of the mandate of biodynamically grown foods was that they should be local. 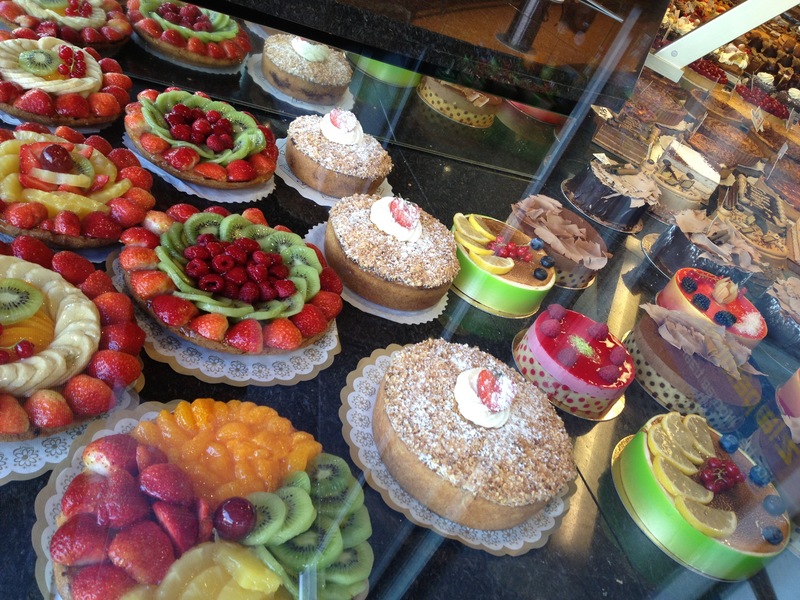 It was a fascinating conversation and bakery couldn’t be more charming. They have a wonderful outdoor sitting area for lunch/coffee/wine/sweets with more seating inside along with, of course a bakery counter. 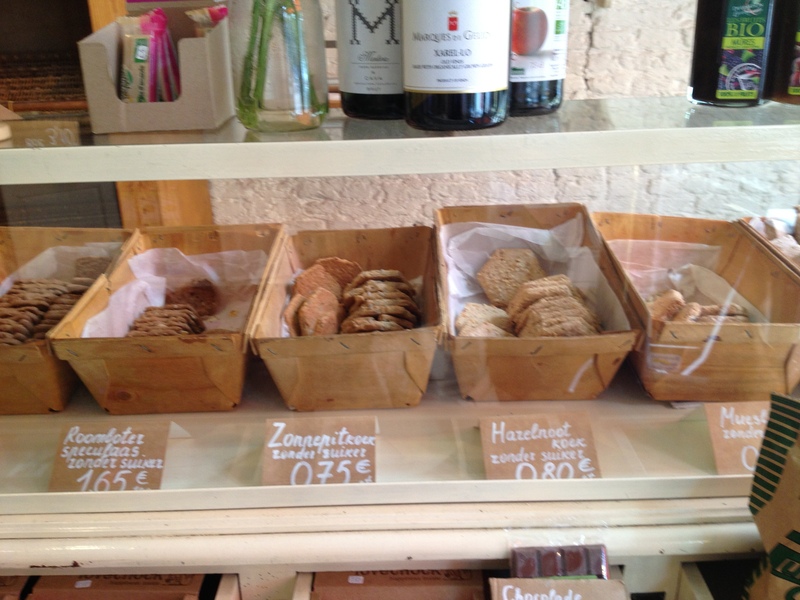 These cookies below were actually more like hearty crackers as they were not so sweet but tasted great with cheese. My attempted to capture the window display was not so successful. What I most liked about this place, other than their politics and dedication to local sustainability was how even though the aesthetic bordered on granola bar hippy coffee house it actually has a very chill chic feeling. I would have been very happy to have come in the afternoon and read a good book while I drank coffee and ate too many baked goods. 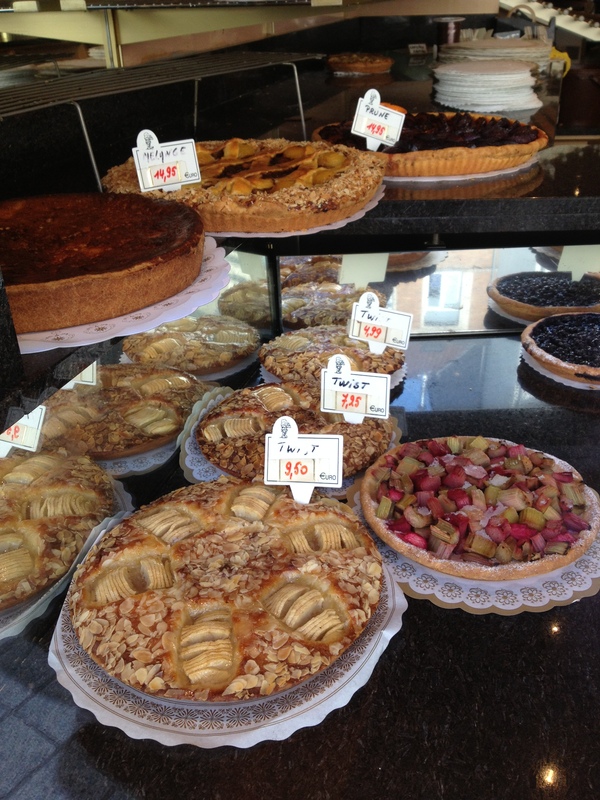 Renard is a world away from de biologisch dynamische bakkerij – it is a classic traditional French bakery on a lively shopping street in the Ixelles district of Brussels near the upscale shopping street Avenue Louise. Oddly Place Fernand Cocqplein where Renard is located is at the end of a very typical local shopping street. 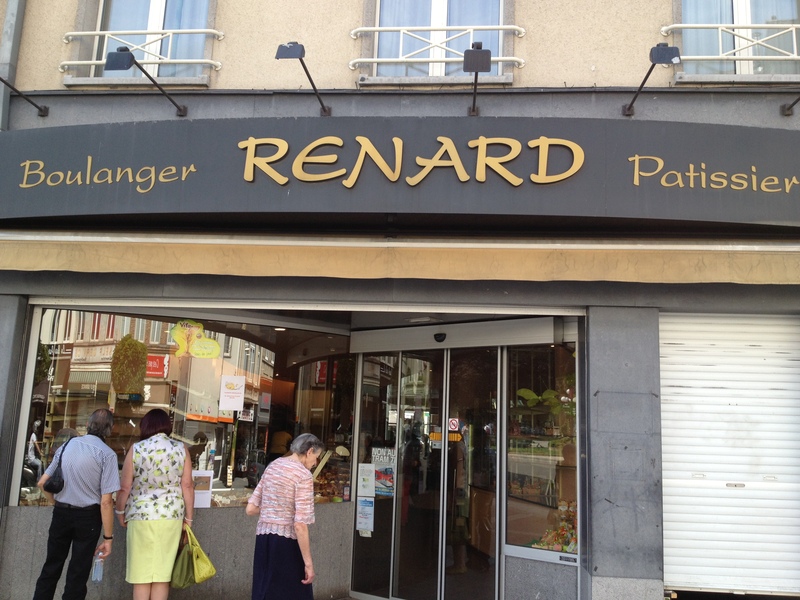 I had come across it by chance, after looking with no initial success for the restaurant I wanted to dine out at that evening and have moules frites I ended up across the street from Renard having lunch. The 1950’s facade only added to the charm and old fashion bakery feel of this place. 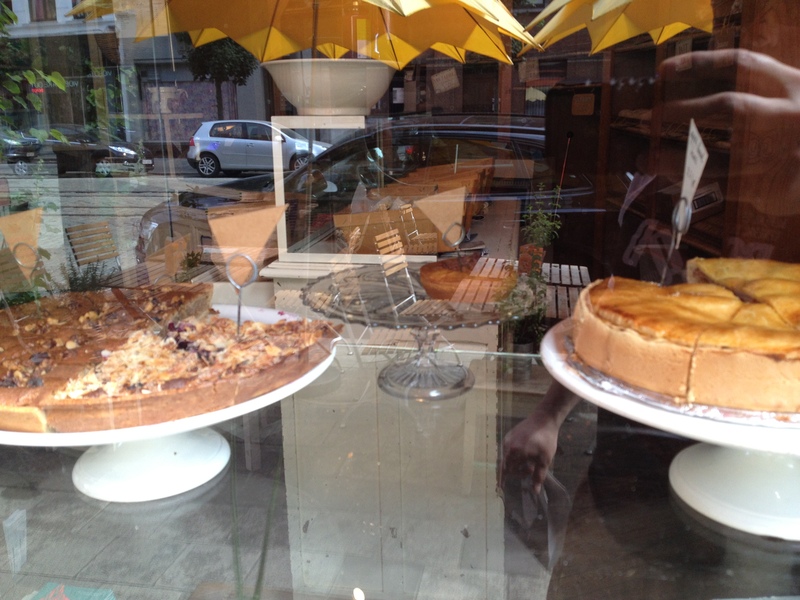 The window was large and packed filled with a vast array of tarts and pies. Prune, Apricot, Gooseberry and Rhubarb, things you would never really see here – fruit driven and all of them with a sour side. 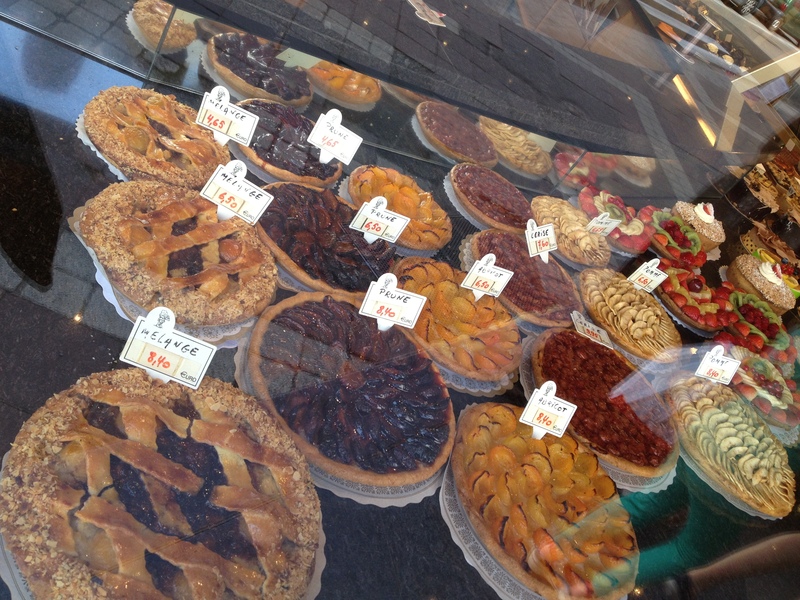 In part I loved it so much because these are some of my favorite fruits, and I’ve never seen just a rhubarb pie in NYC certainly not Gooseberry and fruit so rare here I’d doubt most people could even name it. 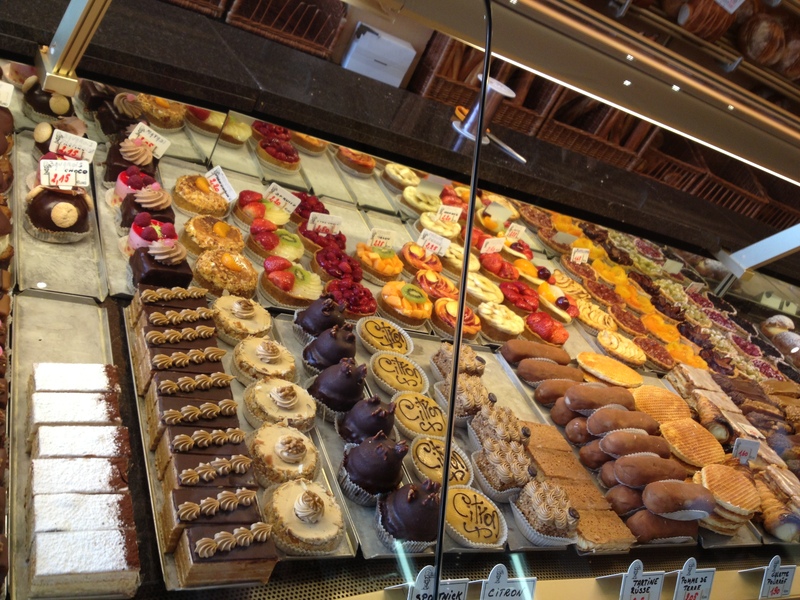 Inside in the case with better refrigeration was an endless array of traditional french pastries. 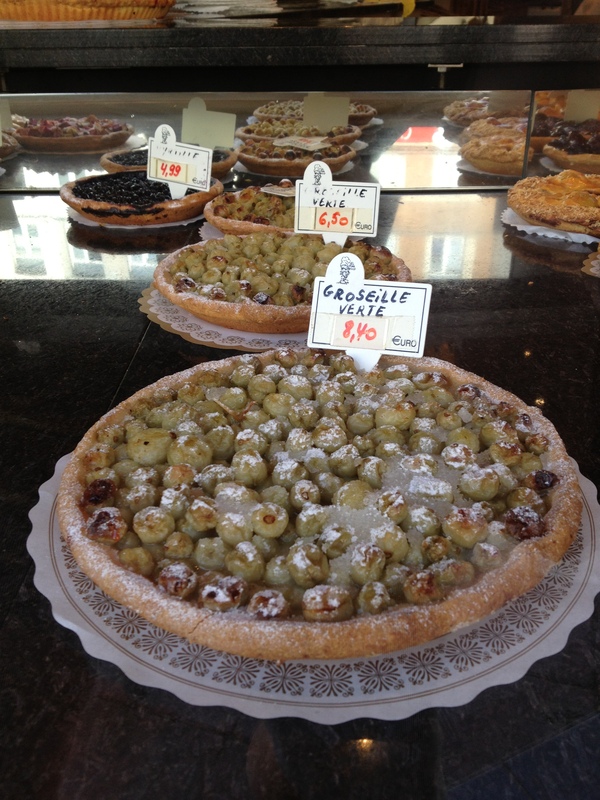 This entry was posted in Travel and tagged antwerp, bakeries, bio dynamic bakery, brussels, Renard Boulange Patisserie. Bookmark the permalink. Tooo scrumptious…….how I envy you…………finished a new script…..but why>………hope to visit nyc soon but have to get to Toronto first.